Our computer training tables and furniture are commonly used for educational classrooms and corporate training. These are made in the USA and ship within days of ordering. 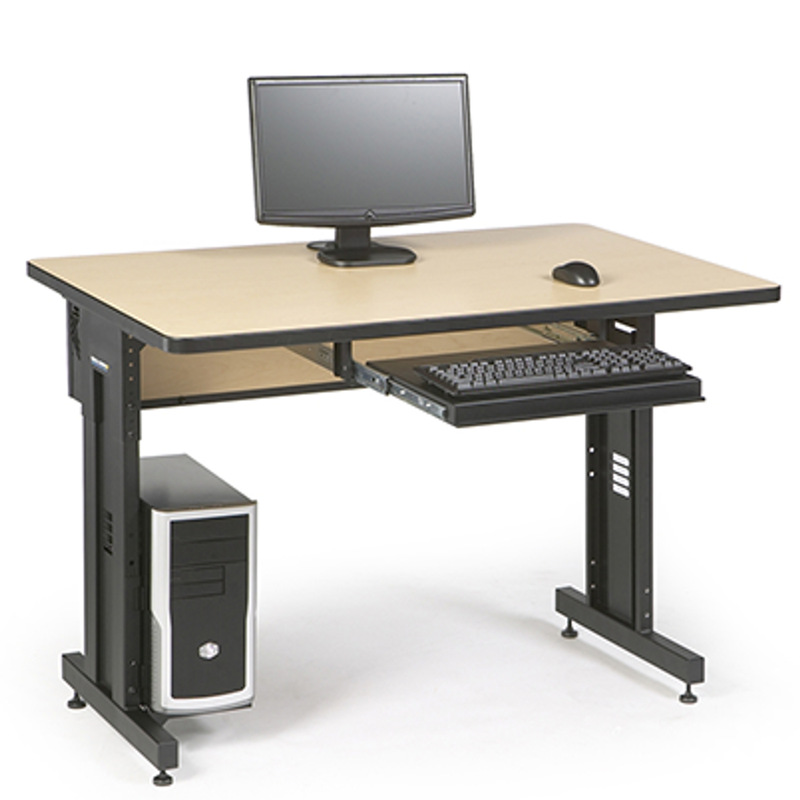 Each adjustable height computer table is professional, commercial quality, and built to last. This is not a lightweight plastic table as you might find at a super center discount store, office supply chain, or catalog retailer. If you want a quality classroom training table that is made in the USA, built of high quality, and ships out quick then the only question you have left is do I need power? Choose training furniture from the basic model to the power model, which provides outlets for electronics and other components. Classroom computer training tables typically need a minimum of 1" thick work surface, ours is 1.25" thick and guaranteed to last. These are perfect for a classroom computer table environment, used as a corporate training center table, or used in a computer table for a lab. Each of these computer training tables ship within 2-3 days after placing order, a remarkable turnaround compared to other manufacturers where lead time can be 4-6 weeks! The Kendall Howard® Advanced Classroom Computer Tables balance professionalism and practicality in a truly universal solution. The ACTT system will easily convert an out-dated, uninspiring training room into an engaging, respectable atmosphere by providing a clean, focused learning space that is suitable for any training or work space. Whether you're looking for classroom computer tables, a corporate training center table, or a computer lab table, select from stock configurations below or we build to order for qty 50+. 1.25" thick laminate table top. Table supports 350 lbs. Widths of 36", 48", 60" and 72"
Heavy duty adjustable steel legs offer durability.